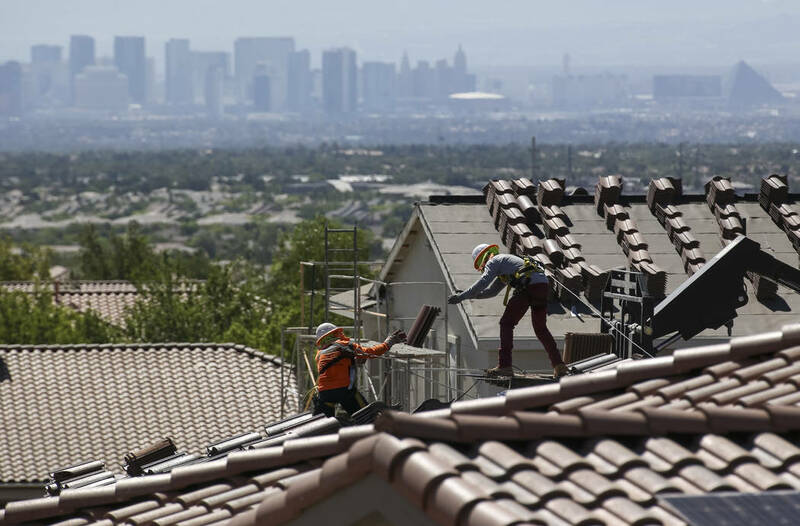 Las Vegas homebuilders notched a 20 percent year-over-year increase in July sales and fetched a median price that was 17 percent higher than a year earlier, a new report shows. Las Vegas homebuilders notched a sharp rise in sales and prices last month as the heated construction market shows no signs of slowing down. Builders closed 846 sales in Clark County in July, up 22.4 percent from the same month last year, with buyers paying a median price of $380,032, up 12.9 percent year-over-year, according to a new report from Las Vegas-based Home Builders Research. Builders also pulled 1,013 new-home permits last month, up 20.7 percent year-over-year. Overall, builders sold 6,016 homes this year through July, up about 20 percent from the same period last year, and pulled 7,199 permits, up nearly 22 percent. Most of the activity is for single-family houses, but condo and townhouse construction is gaining speed as well. Within the broader sales total, buyers picked up 707 attached homes this year through July, more than double the tally from the same period in 2017, Home Builders Research reported. Seven attached-home projects have opened this year, and at least nine more are soon on the way, the report said. Land prices are rising, making single-family houses more expensive, so builders are cramming sites with more units to reach a broader pool of buyers, as condos and townhomes typically sell for less money. Last month, builders sold single-family houses in Clark County for a median price of $396,107 and attached homes for a median of $261,630, according to Home Builders Research.